When you mention the date: July 20, 1969, most people in North America will remember right away that this date had a significance that made the world stop and take notice. The late 50’s and early 60’s were possibly one of the most prosperous times in the century and because the world was currently at peace, the attention of our scientists, physicists and engineers (of all stripes) had turned to the prospect of harnessing space and lassoing the moon. Rocket technology had come a long way from the first days of sending rockets into the atmosphere and beyond. There were many, many failures, but with each failure something new and important was learnt. Starting with unmanned spaceships that just orbited the earth, Russia and the USA were on a mission to be the first at anything to do with space, outer-space and space travel. In 1957 the USSR was the first to send a missile into orbit around the world and the world was astounded as Sputnik 1 completed it’s first orbit of the earth. Just a few months after the Soviets had made this accomplishment, the USA also wanting to make world news launched a satellite in December of 1957 and it exploded just after launching. It was a humiliation and one that was not easily accepted. What the Soviet’s didn’t know is that the US had another rocket in development, with different specifications and almost ready to launch. In Jan 1958, the Juno 1, rocket was launched carrying the Explorer 1 satellite. With each launch of these rockets, and their associated payloads, much was being learnt and more programs developed so that the ground crews could keep contact with these satellites. All of this was the lead up to the first manned flights around the world and beyond. Presidents Eisenhower, Kennedy, Johnson and Nixon were all fully behind the growing space initiatives, encouraging the American People to dream and work to the fulfillment of those dreams. Along with many scientists from Germany and other European nations, rocketry and all it’s nuances was a growing field of expertise in the USA. There was excitement and hopefulness in every aspect of the new field of astrophysics. You can read all the history in the book “The Soviet Space Race with Apollo” available from Amazon. 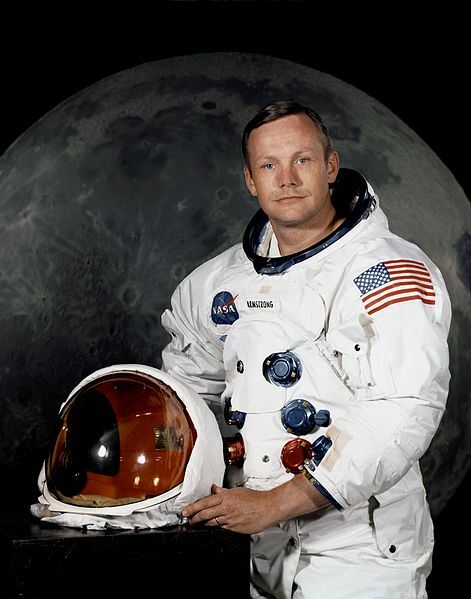 Jump forward a dozen years and many manned flights around the world in a space ship and you are at the doorstep the the infamous day when three astronauts will make their way to the moon, land on it, take samples of the surface, and then return home with their treasures. I would imagine the level of excitement to be that of Christopher Columbus heading to the New World. There were many people that felt they would never make it there and back in one piece. It had never been done before and who knew what the possibilities or dangers might be. There might be monsters on the moon even. Imaginations were running rampant with all kinds of scenarios. After all we had nothing to base our thoughts and fears on. We were treading on brand new territory and setting foot where no man has been before. Personally I can remember that day like it was yesterday. We (and I mean everyone in the world) were glued to our chairs, watching and waiting for what was going to happen next. 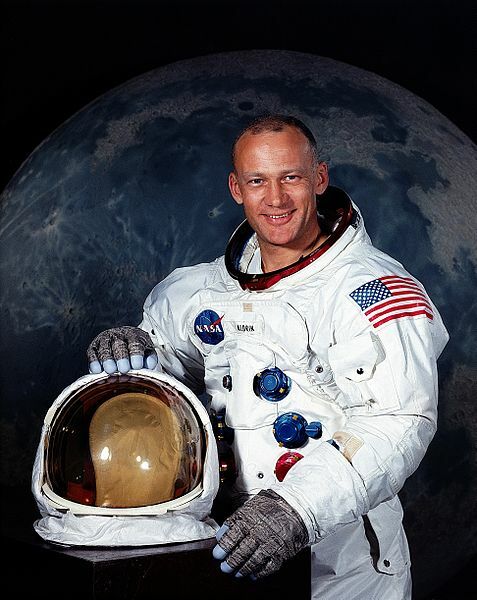 I can remember getting up early to watch as they loaded the astronauts, Neil Armstrong, Michael Collins, and Edwin “Buzz” Aldrin into the capsule. Our family watched as the rockets were ignited and lift-off was taking place. Oh the beauty of seeing that rocket rise and rise, until it was but a speck in the sky. The excitement was palpable. After 1 and 1/2 revolutions around the earth, the Saturn 5 Rocket goes into a series of manoeuvres designed to get the other modules, that made up the Saturn 5, on their trajectory towards the moon. I can remember watching this whole experiment unfold, standing up. I was too nervous, excited and fearful, to sit down. On July 19th Apollo 11 passes behind the Moon and fired its service engine to enter lunar orbit, after 30 orbits with the crew taking notice of the passing views, the Sea of Tranquility where they are supposed to land seems close at hand. 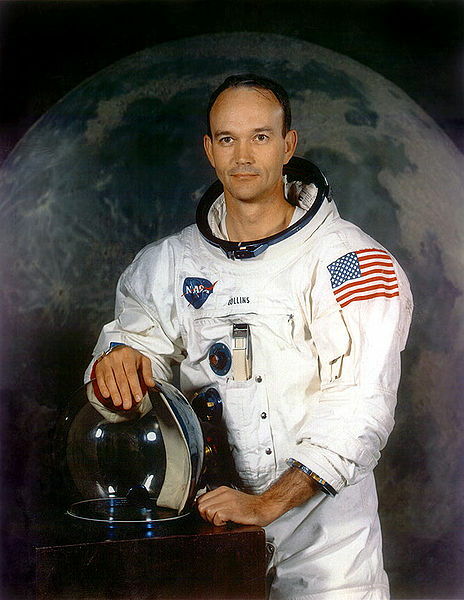 Collins was staying on board the space craft while Aldrin and Armstrong made their way into the Lunar Module (named the Eagle). The Eagle’s landing was not picture perfect as NASA would have liked it to be, but it did happen and it was successful. After only 21 hours on the Moon, the two astronauts make their way back into the Lunar Lander. It’s time to go home, with the first half of the mission successful. Every year on the 20th of July, I remember the excitement that I felt in 1969! The successful return to earth of the Apollo rocket begins a whole new episode in man’s attempts to understand his universe. I remember the moon landing event exactly the same way! Recalling the specific events and the feelings that went along with them never fails to bring tears to my eyes. What a wonderful way it was to unite the entire world.